Coca cola can turns white! 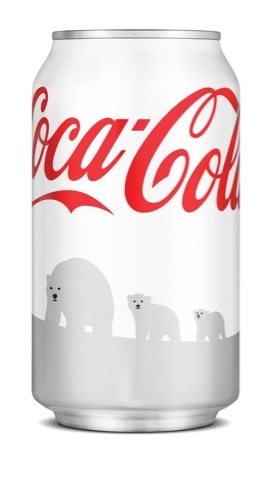 Actually o would like to get my hands on one of these cans cause it looks so cool and it's also donated one dollar to the wwf wild life funds. The design is awesome and it's from turner Ducksworth which is the main design company for Coca Cola I actually got another cool set of Coke bottles also by Turner Ducksworth which is super cool and got a good minimal design too. Hopefully they would release these all over the world and not just the US.